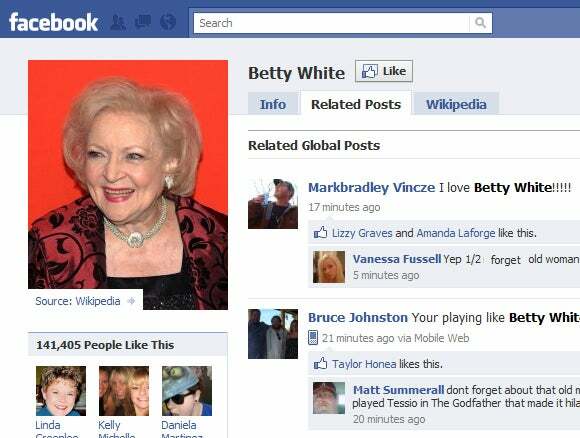 Once the exclusive domain of youngsters, social networks such as Facebook are increasingly catering to an older clientele. A new study from the Pew Internet and American Life Project says the number of social networking users ages 50 and older nearly doubled in the past year, continuing a trend of strong growth that was first spotted during the summer of 2009. Using Facebook to find old friends and colleagues isn't unique to any one demographic, but Pew says roughly seven out of ten people have used social networks for this purpose. Roughly half of adults ages 50 and over have been contacted by someone from their past through a social network. As people retire or change careers, social networks can be a way to stay in touch or get support. Morbid as this sounds, Pew notes that Internet users with chronic diseases are more likely to blog or participate in online discussions, and older folks are more likely to have these diseases. Put those two factors together, and you've got a strong argument for social networking as a way to find communities of people with similar experiences. Pew says older folks may use social networks to connect with their progeny, despite results that "can sometimes be messy." The group doesn't provide hard data to support this claim, but it should seem like common sense to anyone whose parents use Facebook. Pew doesn't mention the prevalence of social games such as Farmville as a reason Facebook attracts older users, but it seems obvious when you look at the demographics of players. According to a February study of social gaming sponsored by publisher PopCap, 22 percent of social game players are ages 50 through 59 -- the largest age bracket -- and 16 percent are ages 60 and older.